BMW loves releasing random special editions in Japan, and oftentimes they are limited to only mild body kits and a few extra standard features. 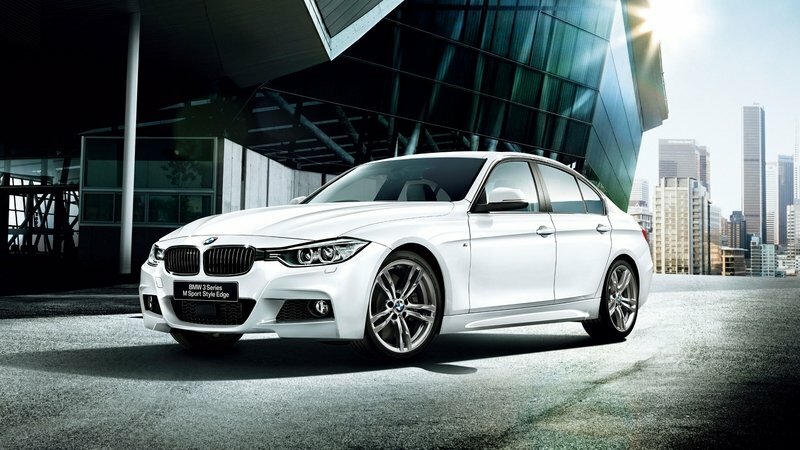 Well, for 2015, BMW has just released this Japan-exclusive version of the 320i and 320d that it calls the M Sport Style Edge. Like many Asian special-edition Bimmers, this model’s updates are limited in terms of exclusivity, as most of the updates are simply added standard features. Things like upgraded rims, a new aero kit, and upgraded interior trim are just a few examples of what makes this Bimmer special. However, the fact that BMW will offer only several hundred of these M Sport Style Edge models may be enough to make up for its slight price hike. 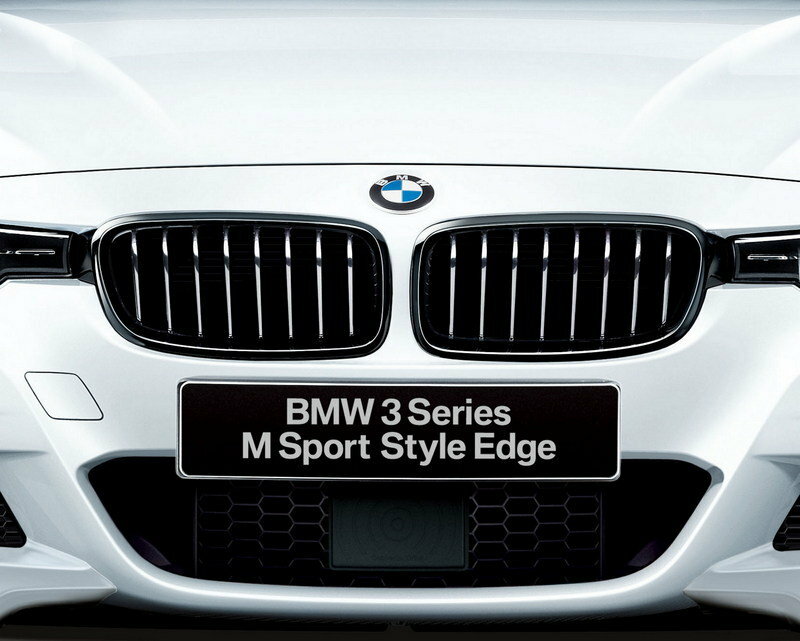 Continue reading to learn more about the 2015 BMW 320 M Sport Style Edge. On the outside, the 3 Series M Sport Style Edge looks like your everyday 3er after a visit to the plastic surgeon. Things kick off with a set of 18-inch M light-alloy wheels coated in grey paint and wrapped in 225/45R18 rubber up front and 255/40R18 rubber out back. Up front, the M Sport Style Edge carries the traditional BMW kidney grille, but it wears a coat of black paint. This grille contrasts nicely with the two colors available on this limited-edition model: Alpine White and Mineral Gray. Being based upon the 320 M Sport, this model also comes with the aerodynamic kit and the Shadowline exterior trim that are part of this package. 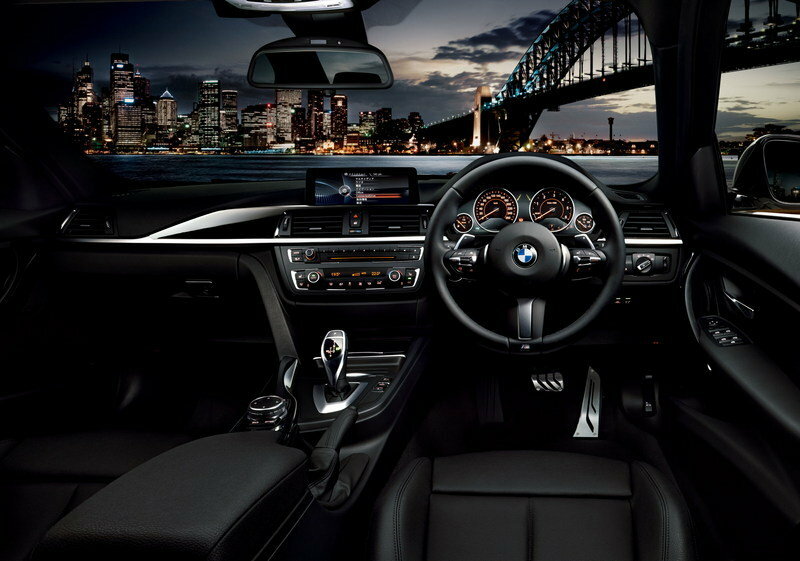 Inside the cabin, this model features all of the typical M Sport features, including the M steering wheel, an anthracite headliner and a sport instrument cluster. The Style Edge part of the equation tosses in black Sensatec leather seating, heated front seats, M Performance stainless-steel pedals, and BMW Individual piano black trim and Pearl Gloss Chrome accents. The updates to the cabin are very subtle, but they do a lot to make the 320i look and feel special. 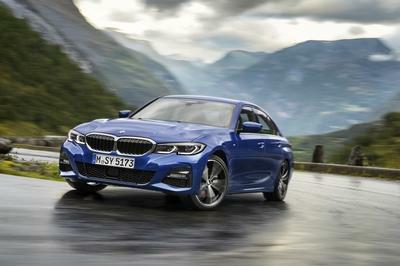 The 320i version of this model uses a 2.0-liter turbocharged four-cylinder unit that produces 135 kW at 5,000 rpm and 270 nM of torque between 1,250 and 4,500 rpm. This model is available in rear- or all-wheel drive. 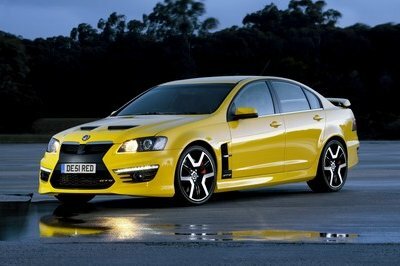 It model sprints to 100 km/h in 7.3 seconds and up to a top speed of 235 km/h. The 320d model uses the 2.0-liter diesel engine that produces 135 kW at 4,000 rpm and 380 Nm of torque between 1,750 and 2,750 rpm. The diesel engine only pairs with a rear-wheel-drive setup. 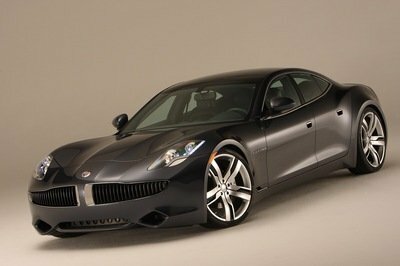 This model takes 7.4 seconds to hit 100 km/h and tops out at 230 km/h. 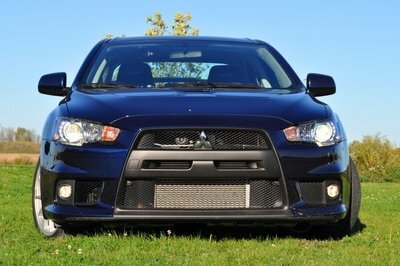 Both engines mate to an eight-speed automatic transmission. From the looks of it, this model will be exclusive to the Japanese market, and BMW will limit it to just 330 units spread across six versions of the BMW 320. Pricing will start from ¥5,440,000 ($45,524 as of 2015) for the 320i M Sport Style Edge and it peaks at ¥5,970,000 ($49,959 as of 2015) for the 320i xDrive Touring M Sport Style Edge. For those who prefer diesel power, the 320d M Sport Style Edge starts out at ¥5,670,000 ($47,449 as of 2015), and the 320d Touring M Sport Style Edge starts out at ¥5,890,000 ($49,290 as of 2015). In Japan, one model that is similar to this special 3er is the Mercedes C 200 Avantgarde. This model bases at ¥5,340,000 ($44,923 as of 2015) and it comes with a 2.0-liter four-cylinder that produces 135 kW and 300 Nm of torque. This model is also available with an AMG Line package, which adds in an aero kit, 18-inch aluminum wheels, upgraded brakes, leather ATICO AMG sports seats and dashboard, an AMG sports steering wheel, stainless-steel pedals, and more. 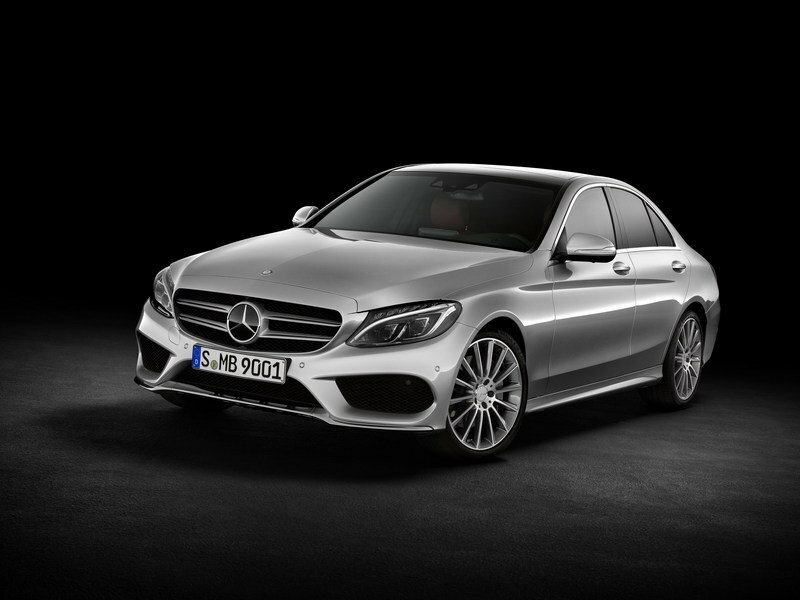 Read our full review of the regular C-Class here. 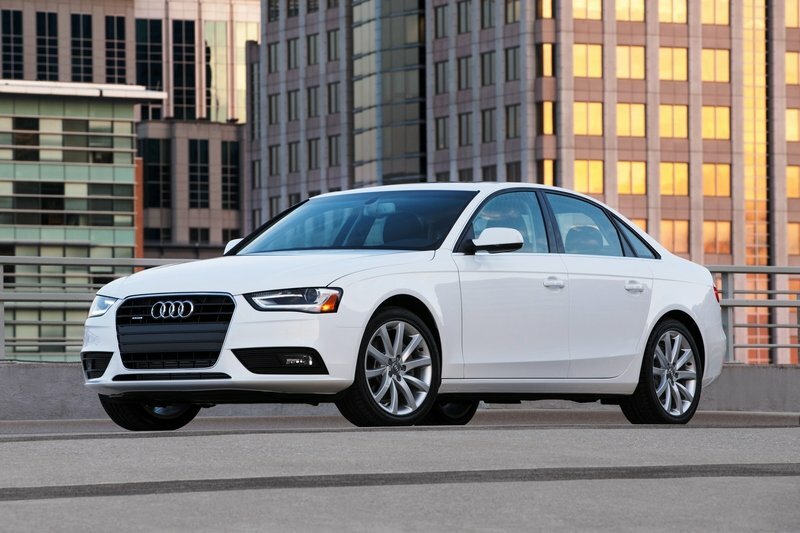 The Audi A4 is another German model similar to the 320 that is available in Japan. 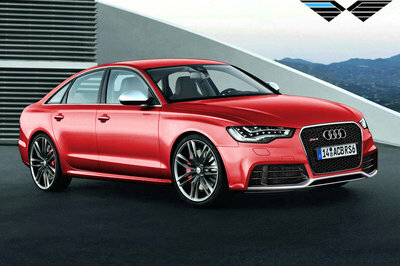 This model comes with 2.0-liter TFSI engine that produces 132 kW and 320 Nm of torque. This engine mates to a continuously variable transmission that delivers power to the front wheels. It starts from ¥4,670,000 ($39,286 as of 2015). To match this model up with the special-edition 3 Series, there is the S Line package, which adds an aerodynamic kit, a sport steering wheel, special leather seating, 245/40R18 tires, a sports suspension, and more. Read our full review of the regular A4 here.